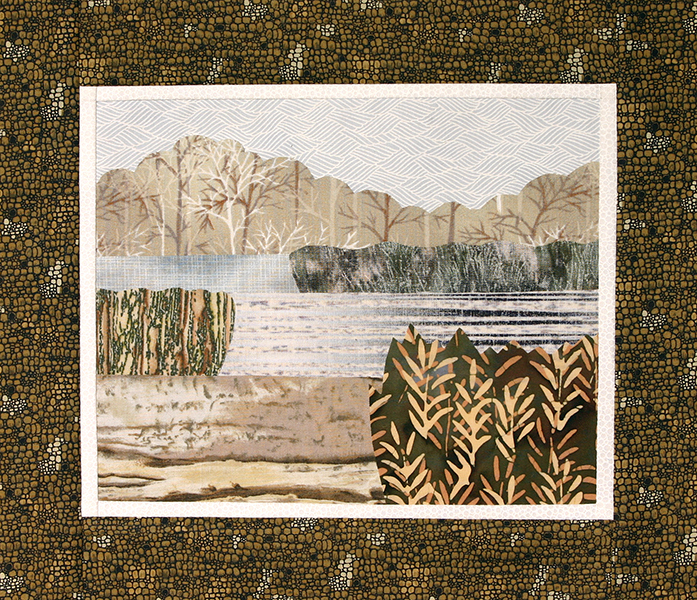 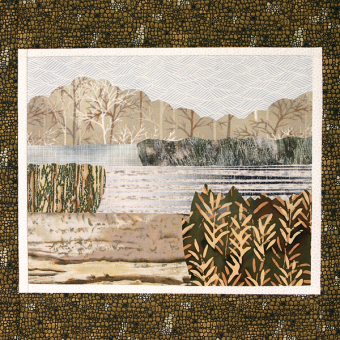 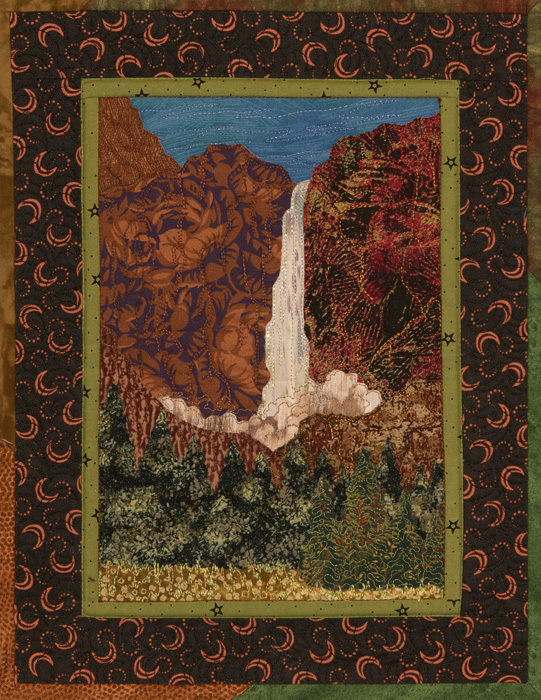 This is a series of small landscape vignettes in two sizes. 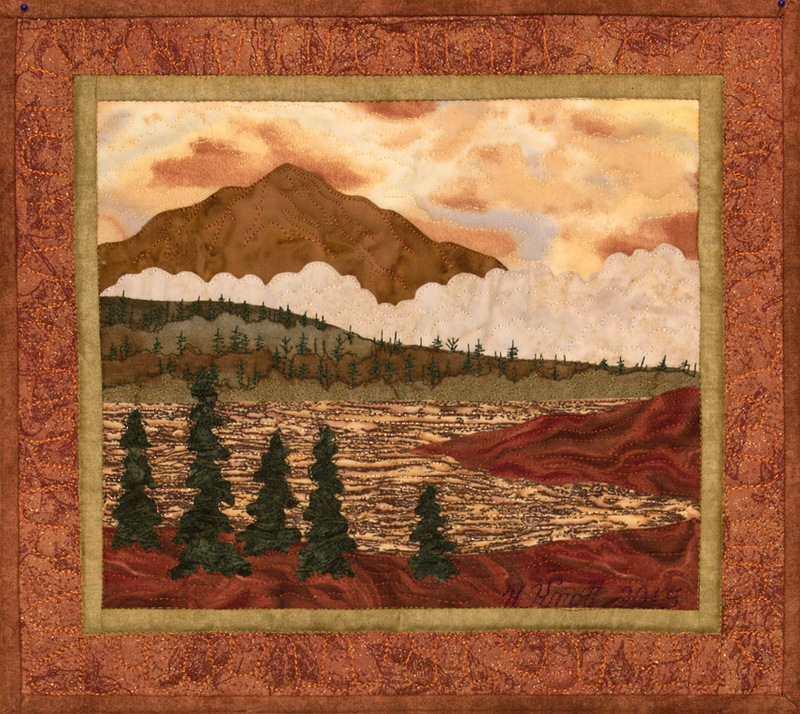 The smaller ones measure about 11″ x 15″, the larger are about 14″ x 18″. 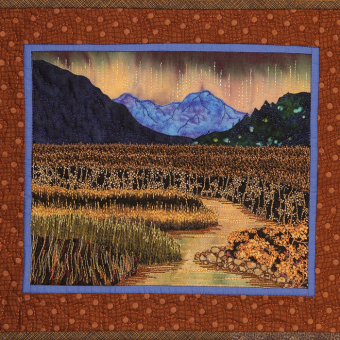 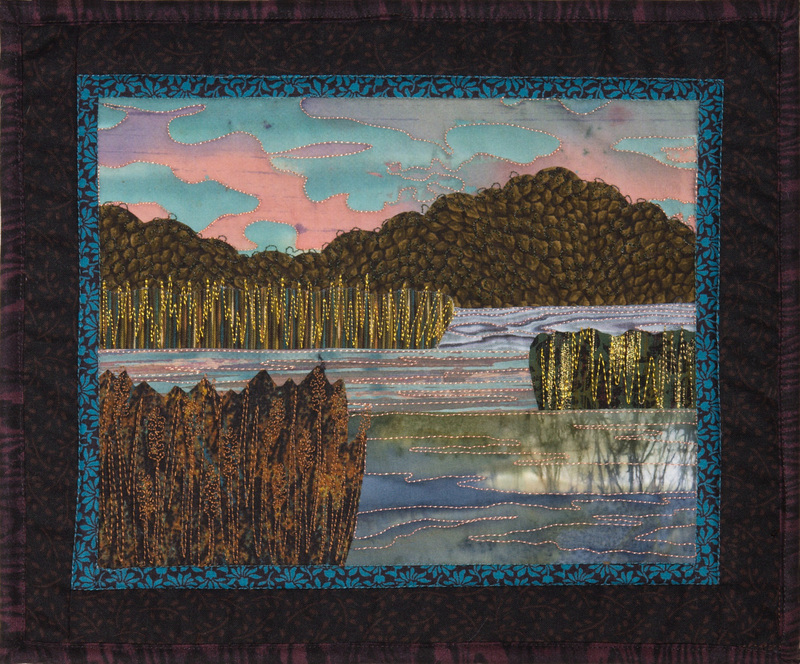 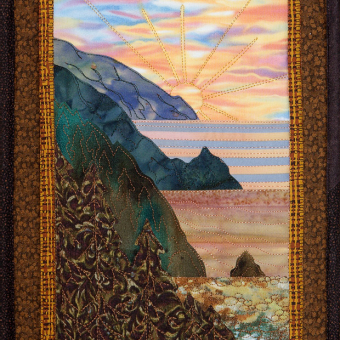 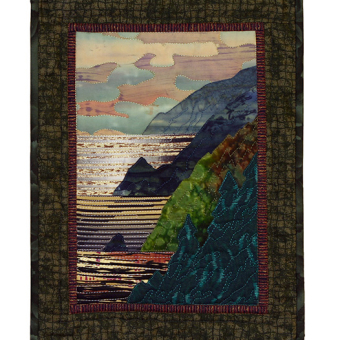 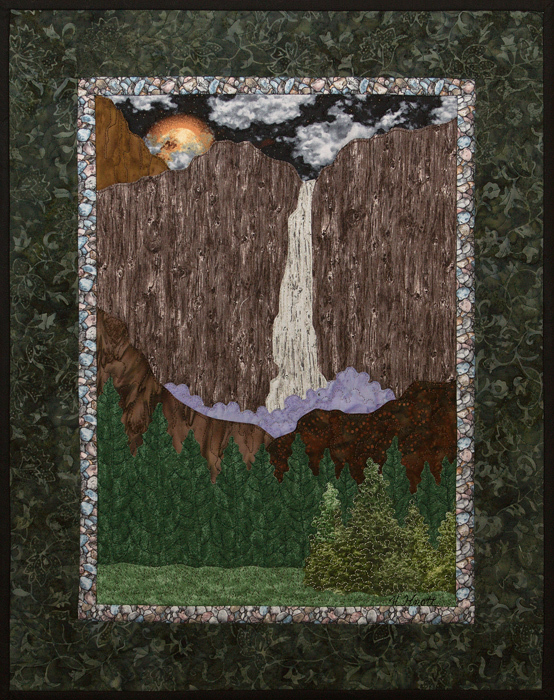 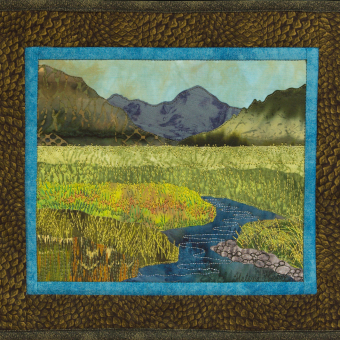 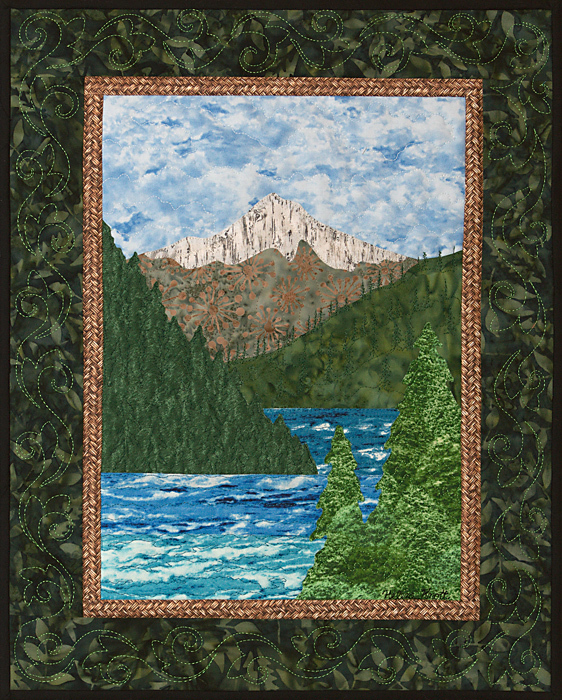 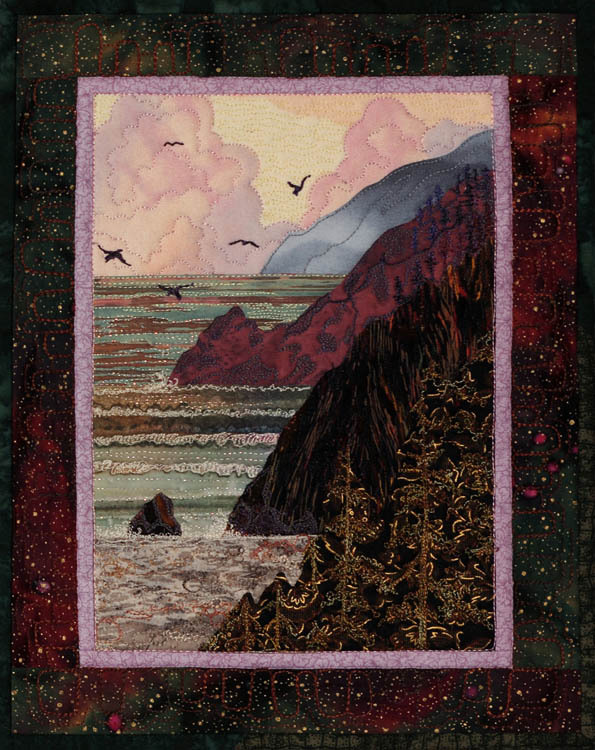 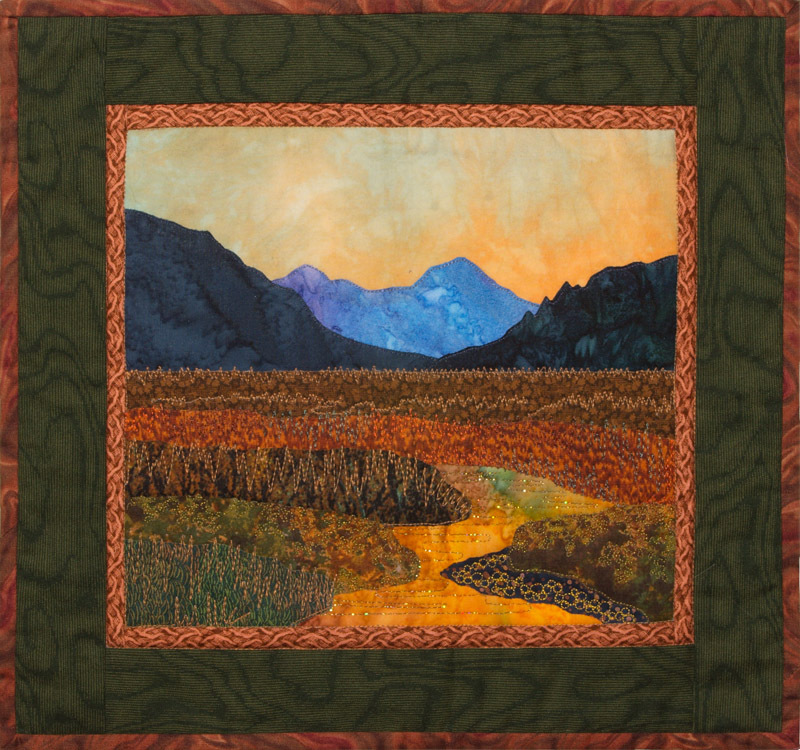 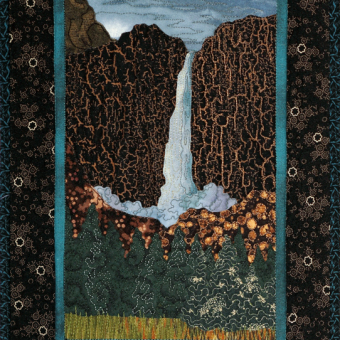 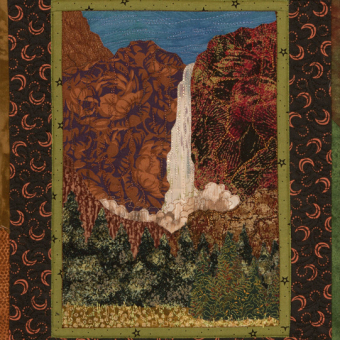 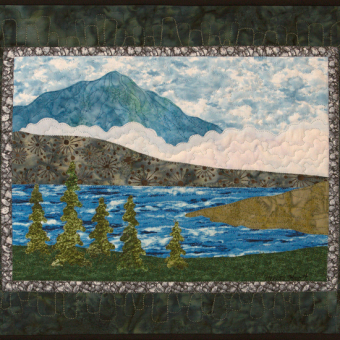 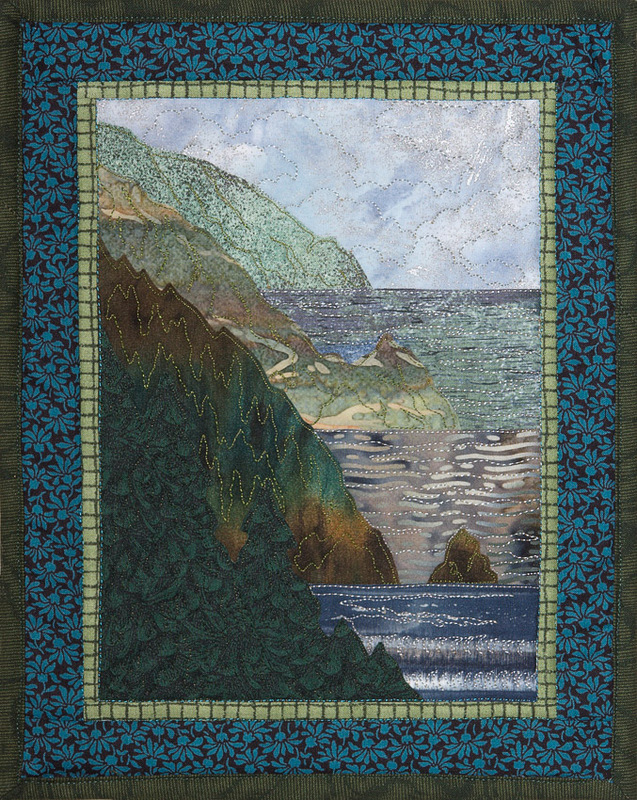 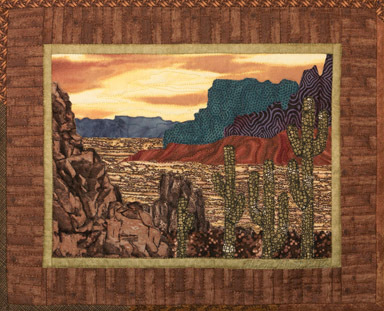 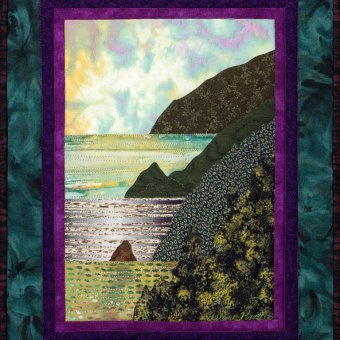 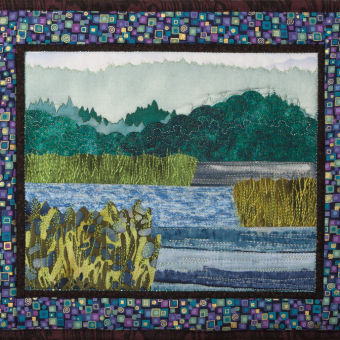 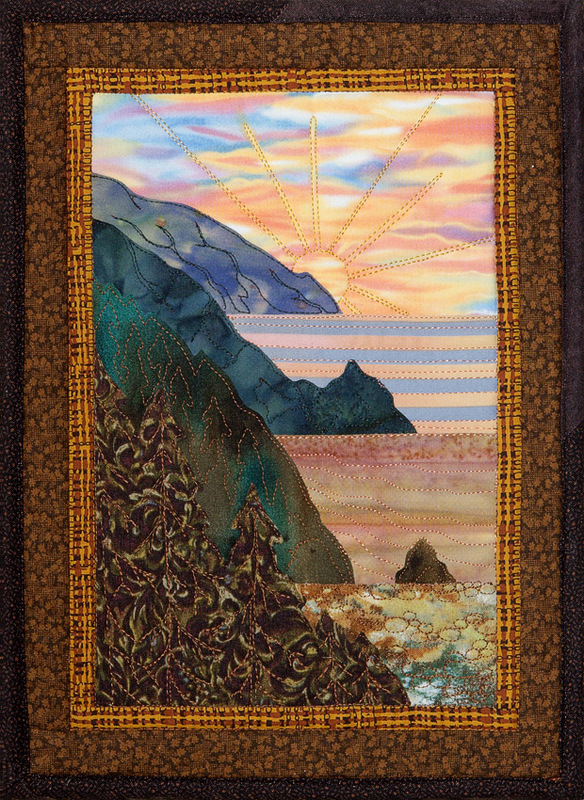 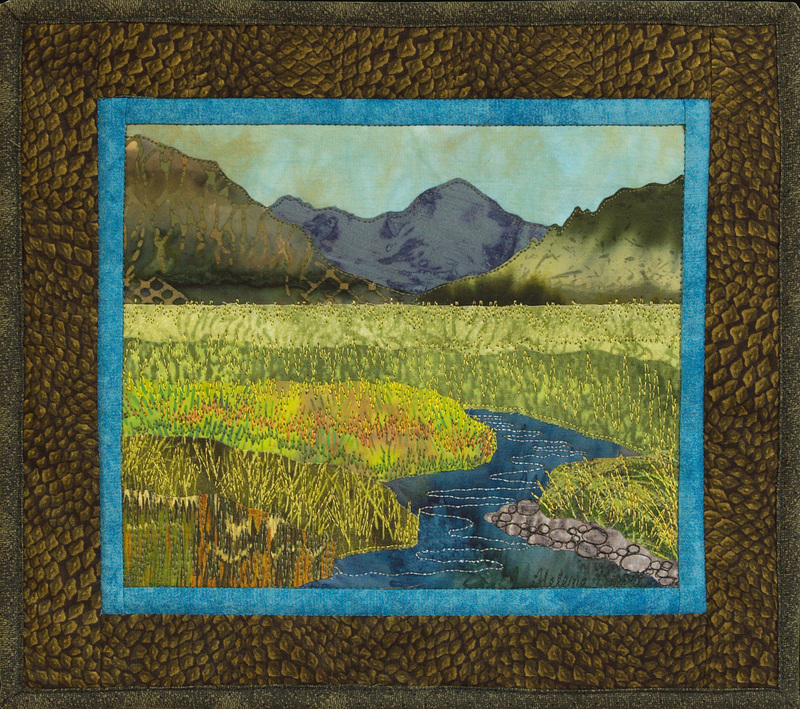 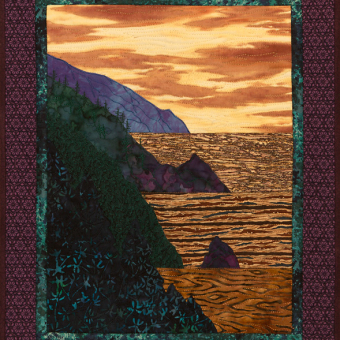 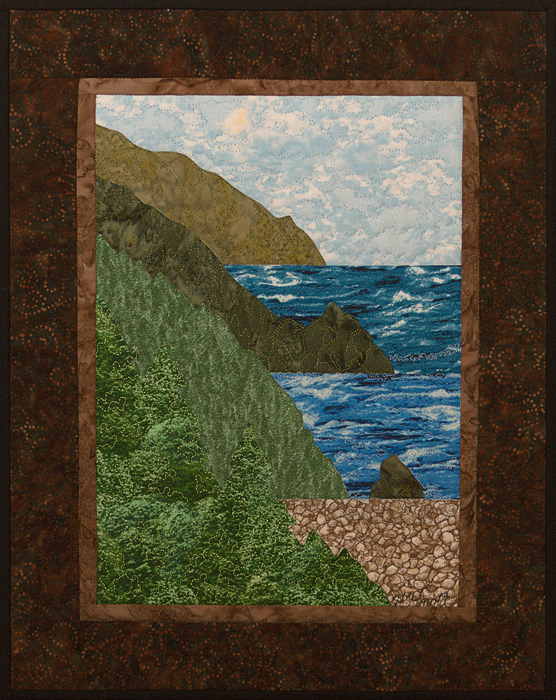 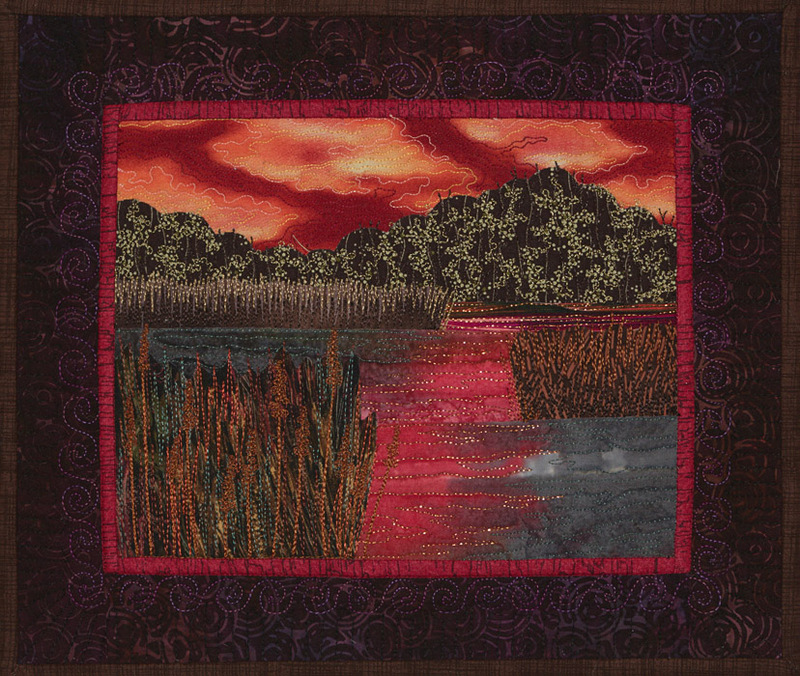 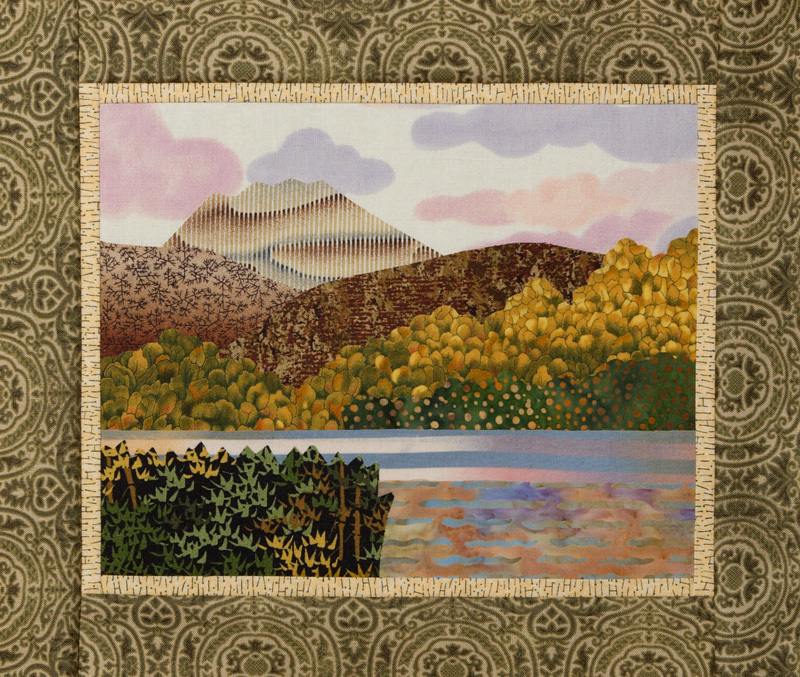 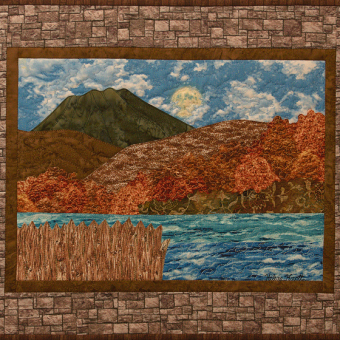 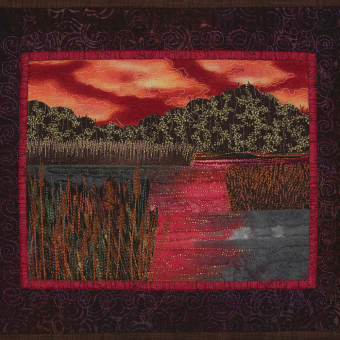 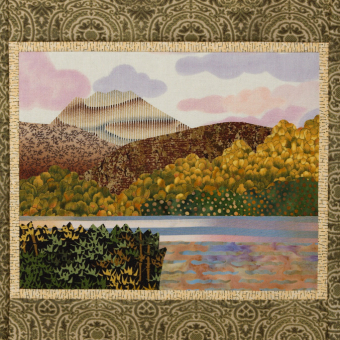 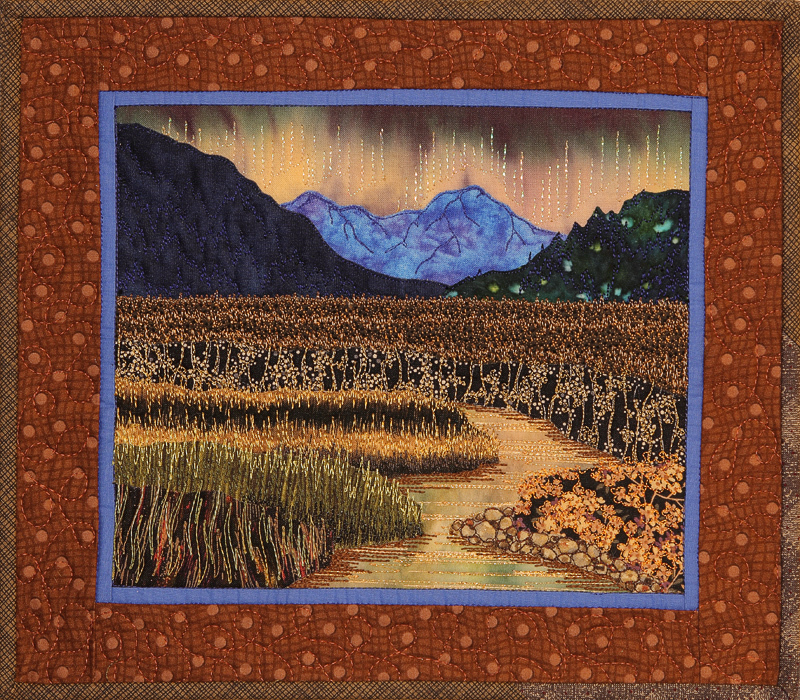 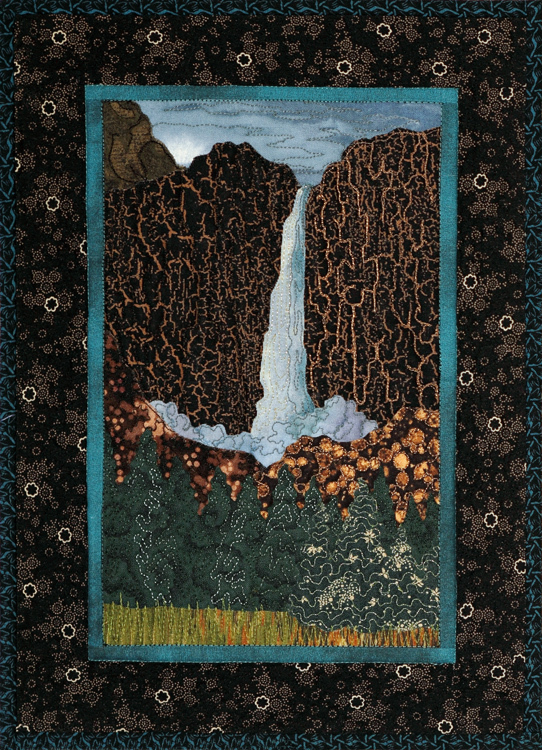 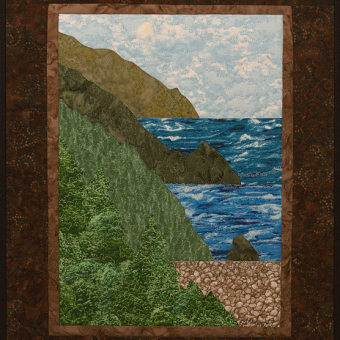 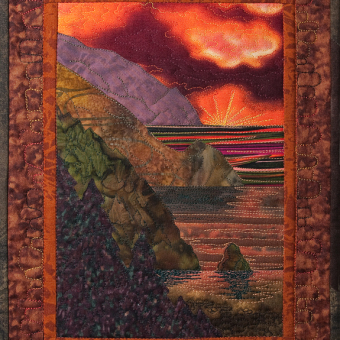 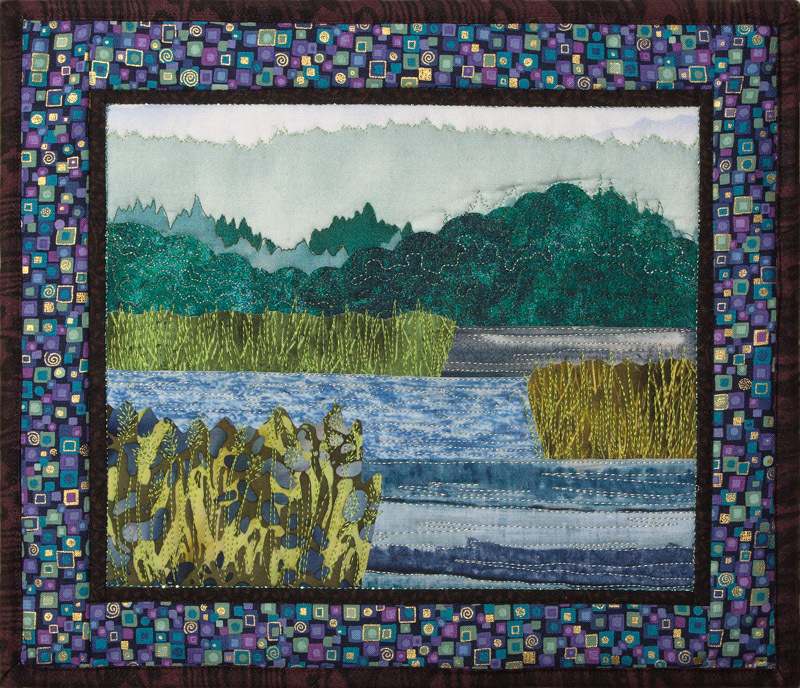 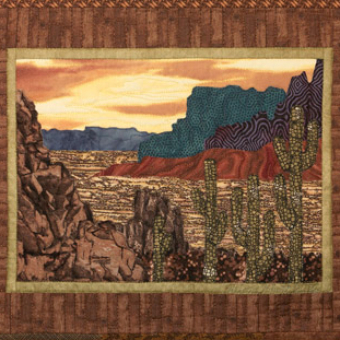 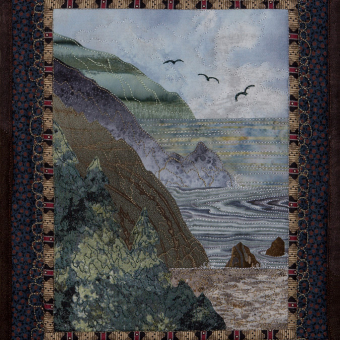 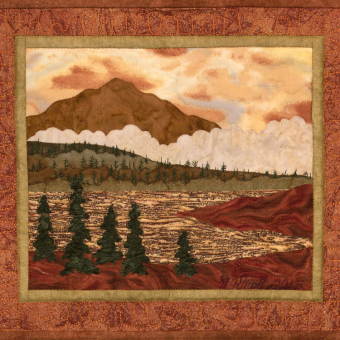 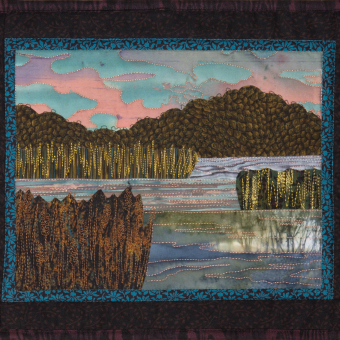 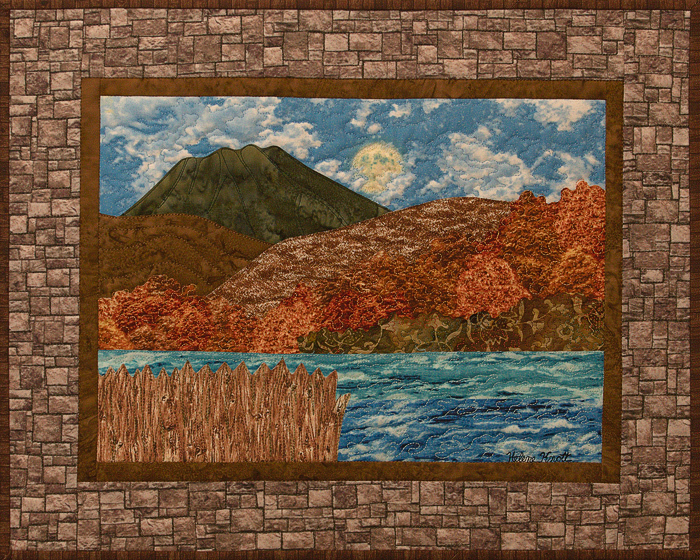 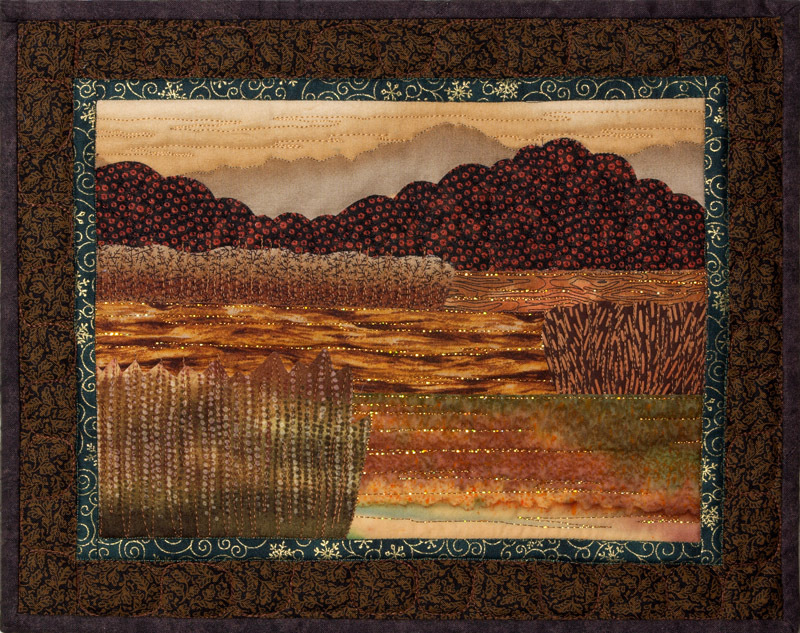 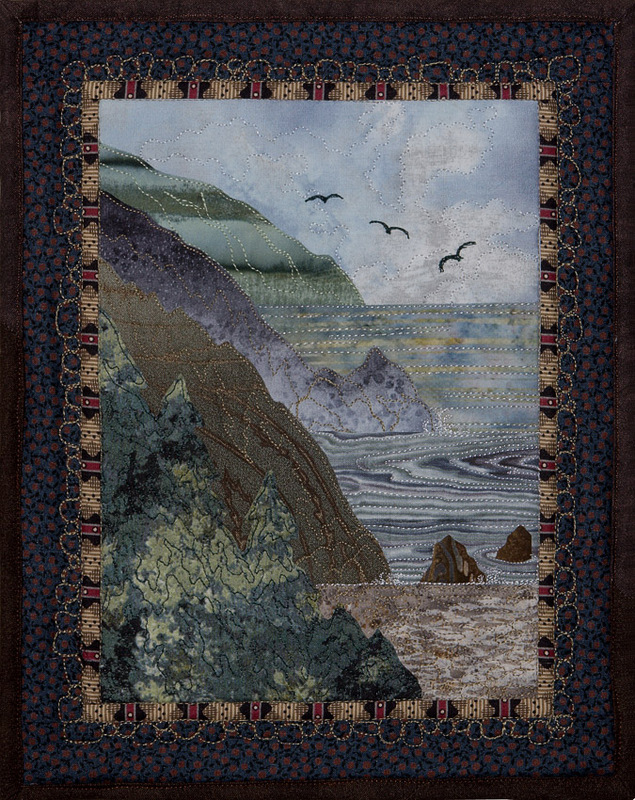 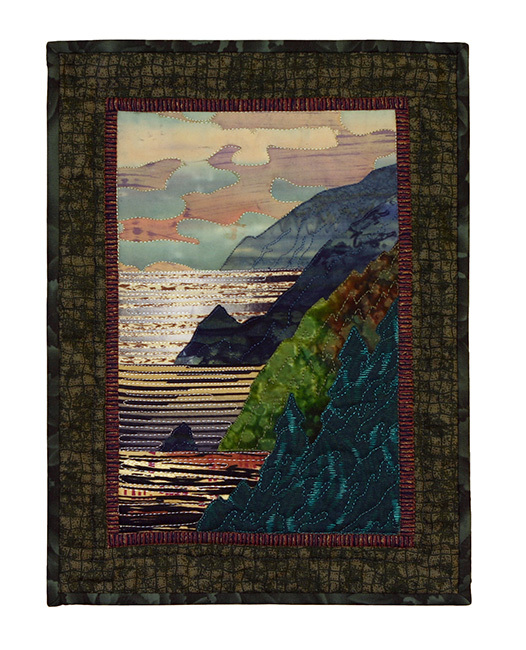 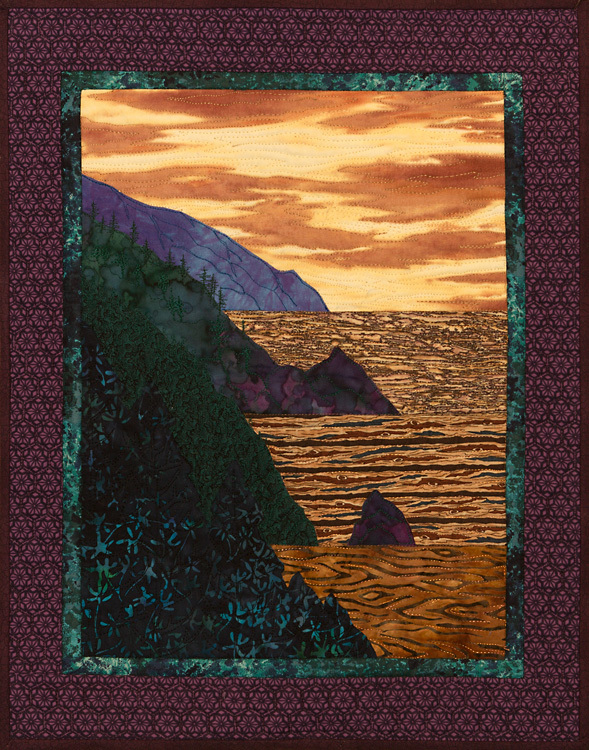 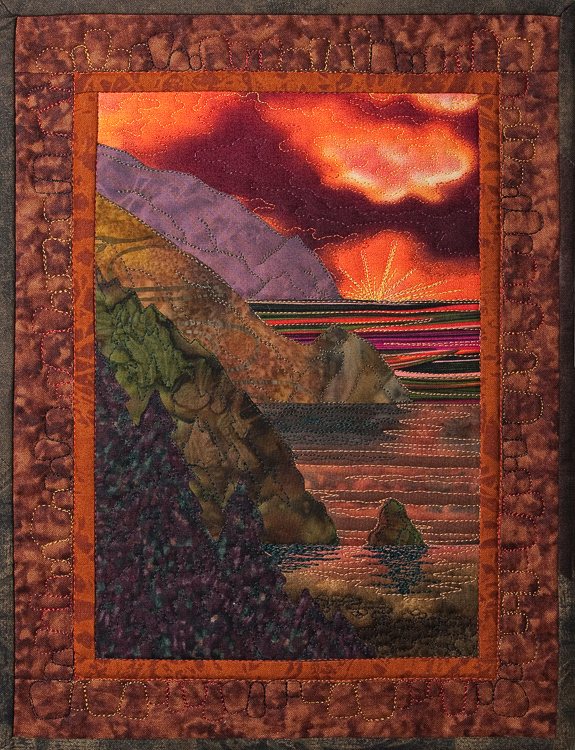 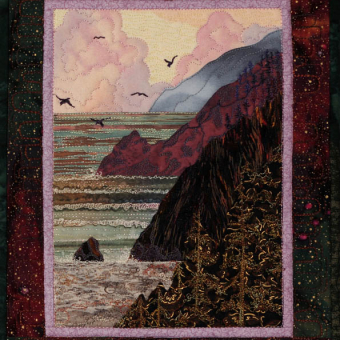 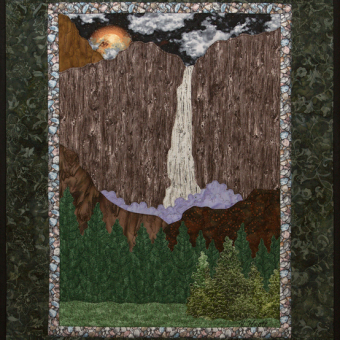 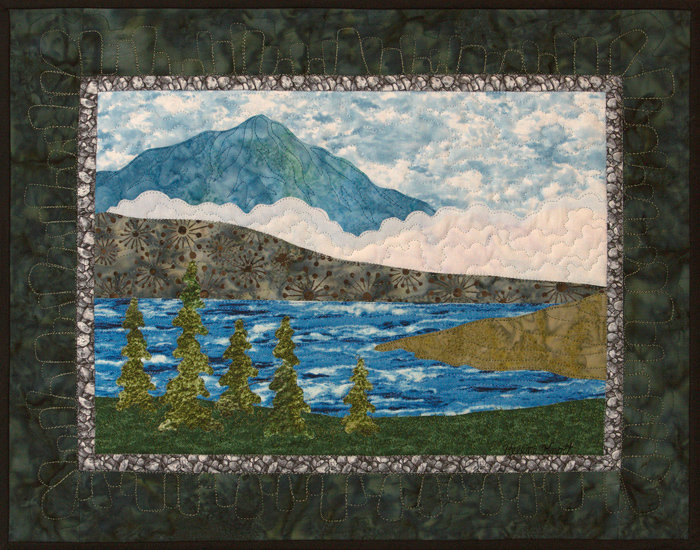 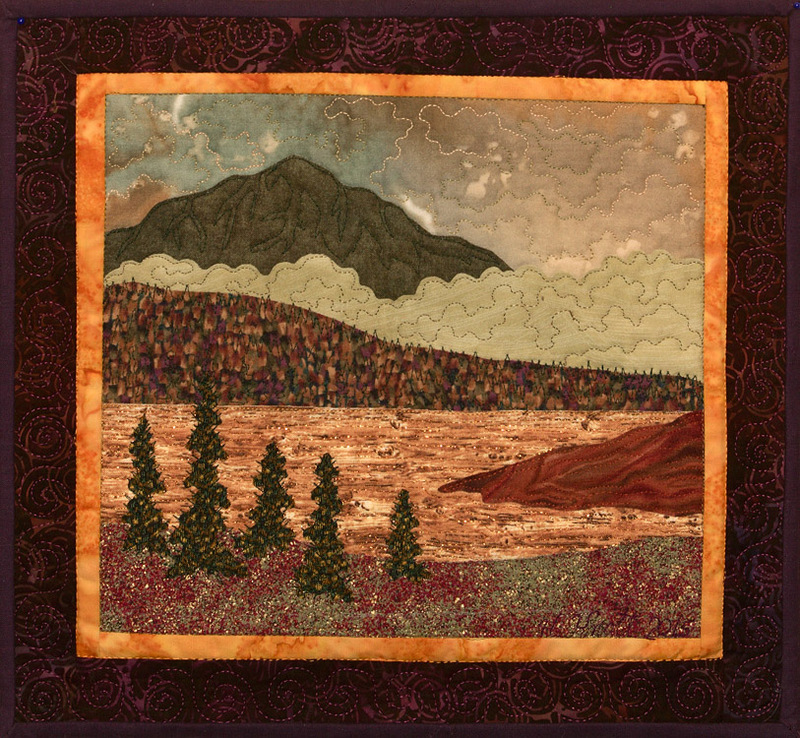 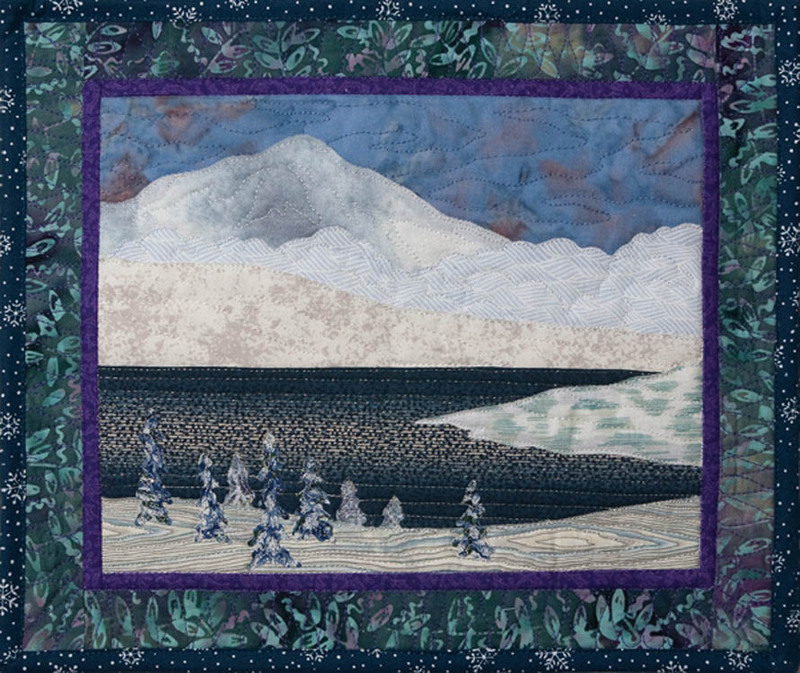 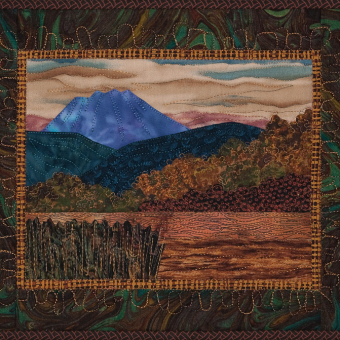 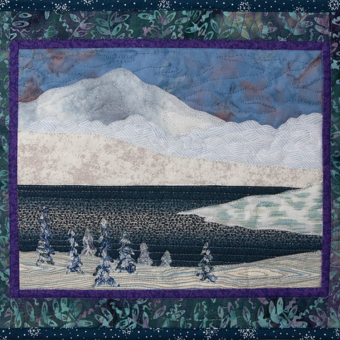 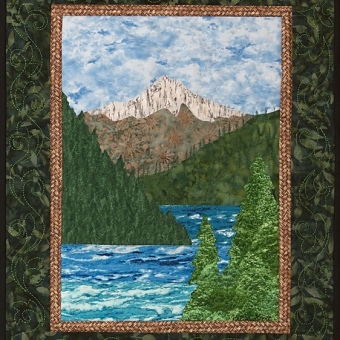 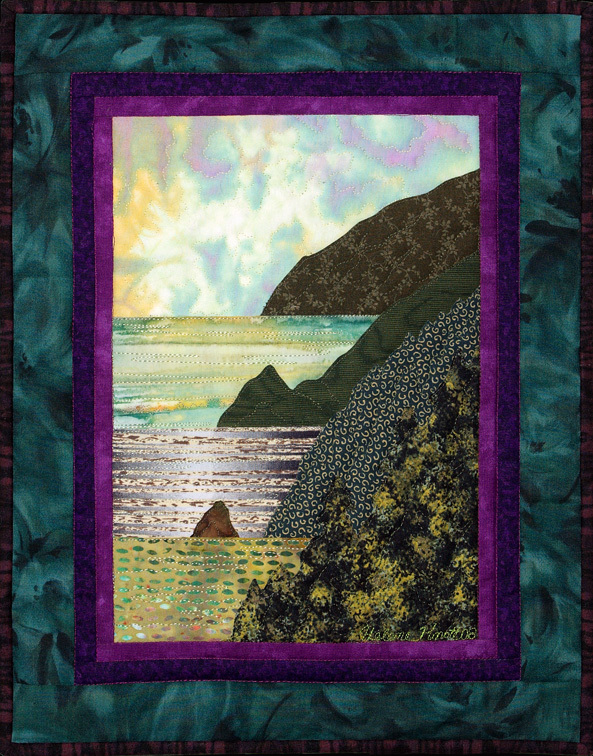 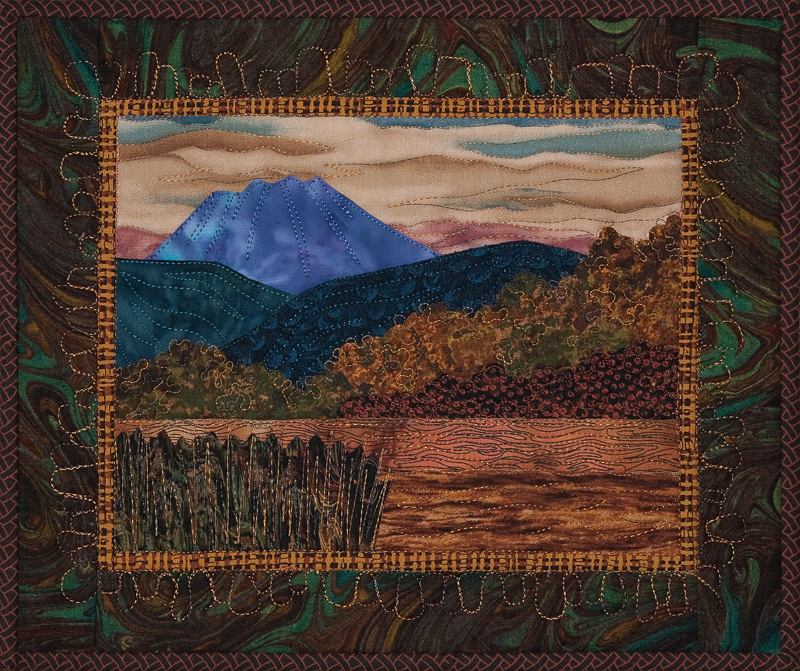 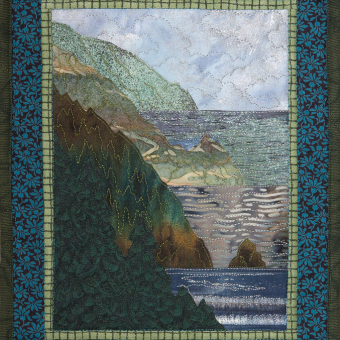 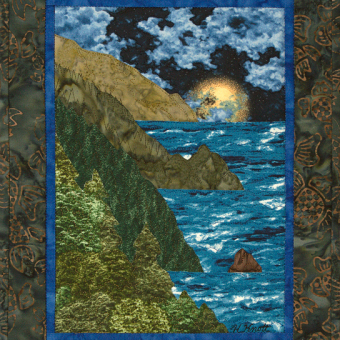 A small project is the best way to learn how to create landscape quilts – more opportunity to experiment without a lot of materials or time. 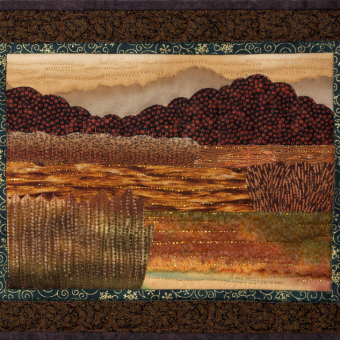 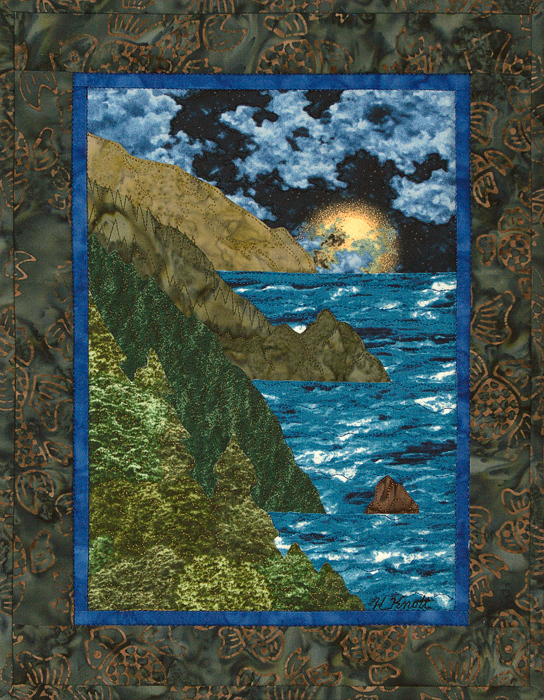 When comfortable with the process, larger quilts can be tackled with confidence.